I’ve seen these two VPNs, TorGuard VPN, and AirVPN, come up in comparison numerous times. Everyone wants to know which VPN is better! However, I haven’t seen a thorough objective approach to these two VPNs when comparing their strengths and weaknesses. This comparison of AirVPN Vs TorGuard VPN will help you decide which VPN to choose. AirVPN has a great limited time commitment with a three-day price at $1.07. 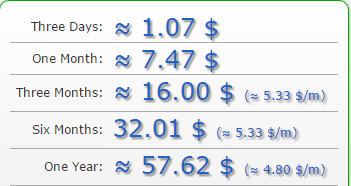 The one month is also fairly cheap at only $7.47 while the three-month price is $16.00, the six-month price $32.01, and the year subscription $57.62. AirVPN does accept Bitcoin and standard payment options. Torguard VPN has a more standard VPN pricing model at $9.99 a month for its main VPN service package. However, for a semi-annual purchase for the primary VPN service, Torguard is only $29.99! For a full year subscription, Torguard is $59.99. TorGuard accepts Bitcoin, and it also accepts gift cards which provide for another anonymous way to pay. AirVPN wins here since it has a lower price point for the monthly subscription, quarterly subscription, and yearly subscription. However, TorGuard VPN is only a step behind, costing only two more dollars a year, and being cheaper for a six-month subscription. AirVPN’s software doesn’t overcomplicate the connection process. It’s very easy to load up and install the application, provide your credentials, and connect to the VPN. AirVPN has essential things like “Network lock” which serves as a kill switch. Inside the AirVPN application, you can see a lot of information about servers–like how much load they have and the latency as well. As mentioned in our AirVPN review, the application has a lot of settings to configure for advanced users like: DNS options, options for the Network Lock, logging save options, OVPN directives, and an events tab that lets you browse external shells. Torguard VPN is one of the few providers that has two clients. The primary client is very user-friendly and easy to set up. Torguard’s second client is the Viscosity client (TorGuard users get free access to this client with the main VPN package!). The Viscosity client has some more advanced features bundled inside, as well as options that let you switch protocols quickly. TorGuard’s main client, while dubbed “Lite”, is becoming much more of a powerhouse of late. It’s one of the most secure VPN applications you can find that is regularly updated. Inside the application, you can find kill switches (both network and application), DNS leak protection, and WebRTC protection. Torguard VPN also offers great mobile applications that are identical to their PC counterparts without settings to configure. Both clients from these VPNs can get you connected to a VPN just fine. TorGuard’s client just feels a bit newer, and it has a mobile app. Since TorGuard VPN jam packs so many features into a client with amazingly fast connection speeds, as well as TorGuard Stealth Proxy, kill switches, and DNS leak protection–it takes the cake here. AirVPN has three simultaneous connections which feel decently average. At its core, however, AirVPN is just a simple VPN that doesn’t extend its offerings for interested VPN users. Torguard VPN is one of the few VPNs to offer a full proxy service, encrypted email, and company supported VPN routers sold on their website. Torguard also fully supports users in censored countries with their focus on their Stealth VPN and newly released Stealth Proxy inside their lite client. TorGuard is also very adamant on pushing out new servers when TorGuard gets blocked by VPN crusaders like BBC, or now, Netflix. While Torguard additional services can add on the cost considerably, many of the features provided by the extra services are very useful since the team supports them extremely well through written guides, browser extensions (you can install extensions for their proxy service), and through live chat. Torguard VPN wins here hands down. Their additional service offerings give them great platform adaptability as well has support for users who want to extend their VPN services into other areas. AirVPN’s website could use an visual update, but for the most part, the website feels clean. Unlike some VPN websites that have obsessively branded their website with a mascot and fluff content, AirVPN feels like the bare bones essentials. It’s just that approach carries too much into the checkout and account creation system. There isn’t a “one button” checkout approach here. Instead, you have to create your account and navigate your way to purchase. 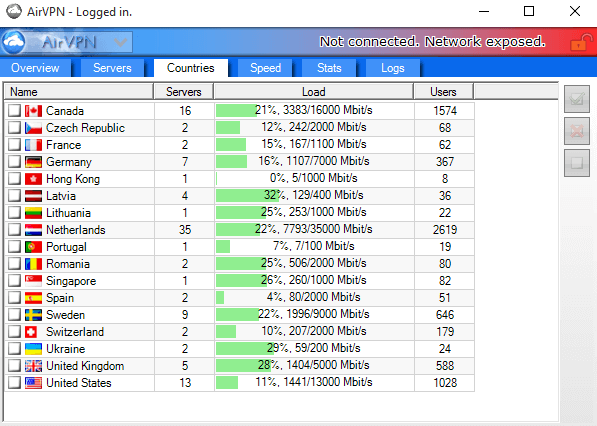 Nevertheless, despite these minor complaints, AirVPN’s website does a good job of laying out the feature set of AirVPN. They also have a forum, which is semi-rare among VPNs. TorGuard VPN has a lot of useful information on their website to help you use their services effectively. Not only that, but they also have an extremely responsive live chat. This live chat doesn’t even require you to login or provide details, and it’s available 24/7. Besides their great live chat and support articles, they also have an active forum community. The site’s simple design is easy to navigate, and it doesn’t feel inundated with fluff content. TorGuard’s website is easier to navigate, setup an account, and it’s easy to find quality support articles. Both websites have a forum which is very neat for communities to interact. AirVPN has a substantial selection of servers. It’s refreshing since AirVPN openly broadcasts so much information about their servers in their application and on their website. Unfortunately, some of their servers don’t perform as well as others. You might find some inconsistencies here. TorGuard has around 1200 servers in 42 different locations. TorGuard’s specialty is that it has Stealth VPN servers that work well in censored countries. We received good speeds when using a variety of TorGuard servers. Both VPN providers have enough servers, but TorGuard’s servers proved to be more reliable across multiple locations. AirVPN markets itself as a VPN made by VPN and security enthusiasts. In that respect, they have done their job in making AirVPN very secure and private with 256-bit AES encryption, as well as options to use SSH or SSL tunnel with Tor. This requires more configuration, but they do have guides on their site. AirVPN also doesn’t collect logs. TorGuard has a good no logging policy with 256-bit AES encryption. 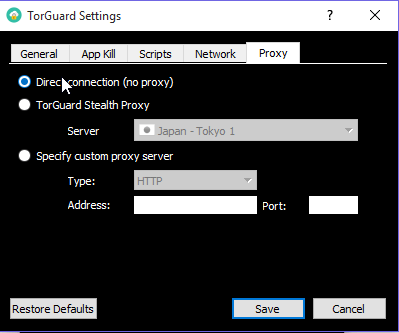 It’s also worth nothing that TorGuard’s Stealth Proxy feature within their client is very easy to activate and use alongside their StealthVPN. Most VPN’s don’t support even one stealth option, much less two. TorGuard also offers WebRTC protection (alongside DNS leak protection) inside their client which is rare but excellent to have. While both VPNs have amazing security with good encryption and no logging policies, TorGuard’s stealth options are just much easier to setup than messing with AirVPN’s less effective SSH or SSL solutions to get the VPN working in countries with deep packet inspection. When we tested AirVPN our recommended server gave us high-quality speeds, nearly identical to that of use without a VPN. Picking another server close to our location did not yield similar speeds,. This lead us to the conclusion that AirVPN speeds aren’t as consistent as they could be. However, sticking to the recommended server will yield great speeds! When we tested out TorGuard VPN on Speedtest.net, the speeds were on the higher end, getting around 70 Mbps or even up to 100 Mbps. Yet, when we tested out how reliable these speeds were through a BitTorrent download, we received incredibly fast speeds of (20-21 Mbps) which is about the same as without a VPN. Again, another close battle here, but TorGuard VPN wins in the speed category as well since their speeds are more consistent than AirVPN. Both VPN providers have excellent speeds for interested users. AirVPN’s support on the site is a mixed bag. On one hand, they do have a lot of guides in their forums, as well as help from other users, but the site’s basic support articles need are lacking. There isn’t even a support tab to click on. It’s a bit hard to navigate the website to find the answers you need unless you strictly rely on the forums–which could be okay. AirVPN uses standard tickets instead of live chat. TorGuard VPN has live chat and a standard ticket support system. 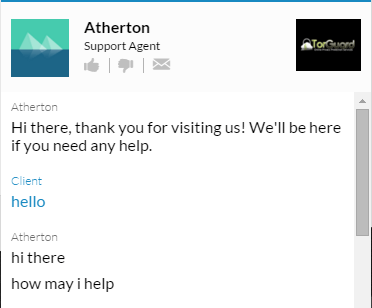 When we tested out their live chat, we were surprised to find a helpful representative answer our questions in only a matter of seconds. TorGuard’s live chat team seems extensive and consistent around the clock. They also offer a great refund no-hassle policy. Since TorGuard has so many extra services and uses, it makes sense that they have multiple setup guides. These guides are easy to find within the main “support” tab at the top of the site. TorGuard also has video tutorials which are very nice to see, as well as an active forum community. We loved that both VPN websites had forums. That said, AirVPN seems to rely on their forum a bit more heavily than TorGuard, while TorGuard has both an active forum and numerous guides. Coupled with great live chat, we found TorGuard’s newer website and better design lead to an easier support process. AirVPN offers a lot of good features for a VPN, but none of their robust strengths can match TorGuards polish and features. TorGuard’s dedication to supporting through live chat, as well as top speeds, client performance, and security additions make it one of the best VPNs you can find. I just signed up for TorGuard and Netflix is blocking them. A quick glance at their support forums reveals that they’ve given up on pushing out new servers and the only consolation they offer customers is the option to pay extra for a dedicated IP address, which also happens to undermine the privacy and security aspects of using a VPN. I was just informed by TorGuard’s support that they no longer offer or support Viscosity. I just performed various speed tests between AirVPN and TorGuard across various servers and TorGuard offered no performance advantage over AirVPN. Additionally, TorGaurd doesn’t support OpenVPN on iOS, offering only the less secure IPSec and IKEv2. So overall, I’d say that AirVPN is the far better option, especially considering it’s based outside the US in Italy. I realize that the tech industry advances at a rapid pace and everything is subject to change, but unless you update your website frequently, these increasingly outdated articles are a disservice to your readers. TorGuard no longer needs Viscosity since their main client has since been updated with many more new features including more integrations, visual changes, and security implementations like OpenConnect protocol. In addition, TorGuard’s unique solution to the Netflix blockade is what keeps them working, even if you have to pay a small fee. The only other VPN provider attempting to do the same doesn’t offer this extra implementation, and they cost more (ExpressVPN). AirVPN has never worked with Netflix. No VPN provider provides OpenVPN through iOS apps, so your point here is moot. Sure you can use the OpenVPN client. AirVPN doesn’t even have a mobile app which is why they lost points in this category. 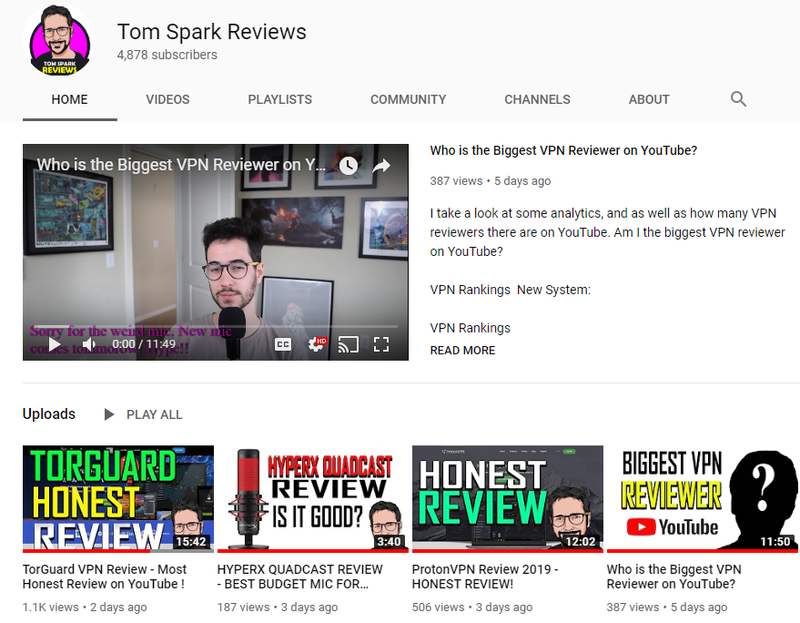 While this article might be due for an update, our reviews are still current and kept up to date, and the point still stands that TorGuard is the better VPN choice.